Ask Judie Rappaport, Eldercare Advocate, "What is the most important step I can take to stay safe in today's healthcare system?" and she'll reply, "Education! Education! Education!" Many of the diseases presenting Alzheimer's-type symptoms are treatable or curable. The trick is getting the right diagnosis. Join Judie at one of three lectures in early 2015 at the IRSC Wolf High-Technology Center Auditorium. These events are open to the public and are part of the IRSC Lifelong Learning series. Cost is $35 per lecture or $85 for all three. Call 772-462-7880 to register by phone or Register Online Here. On Thursday, October 2, Preferred Lifestyle Services attended the 5th Annual Health Care Champions award breakfast at the St. Lucie Civic Center. Judie Rappaport, President of Preferred Lifestyle Services attended “Love is Listening,” presented by Michael Verde. Verde is a published author, professional speaker and award-winning educator. During his presentation at Monarch Country Club, he shared a groundbreaking communication approach in dementia care, teaching the importance of being with those with dementia, not only doing to and doing for them. 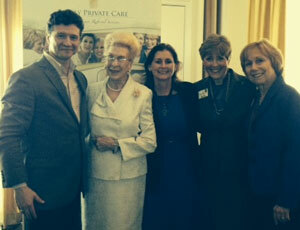 Preferred Lifestyle Services attended the 12th Annual Alzheimer’s Community Care Treasure Coast Luncheon. 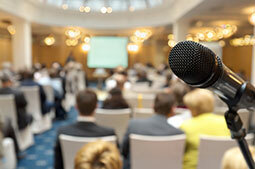 This event took place at Mariner Sands Country Club in Stuart, Florida. L to R: Judie Rappaport, President of Preferred Client Services, Bonney Johnson, Senior VP US Trust and Event Vice Chairperson, Stephanie Watson, CBS 12 News Anchor, Sue Shipper, Event Vice-Chairperson, Gytha Von Aldenbruck, and Nikki Boone Melby, Partner at McCarthy, Summers, et al. Judie Rappaport, President of Preferred Lifestyle Services attended, “The Undeclared War: Special Operations in the 21st Century,” presented by Eric T. Olson, retired United States Navy admiral. Olson was the first Navy SEAL ever to be appointed to three-star and four-star flag rank. 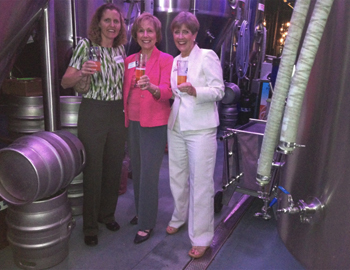 Preferred Lifestyle Services attended the Alzheimer’s Community Care fundraiser, “Hoptimism” at Tequesta Brewing Company. Proceeds were donated to help ACC continue to provide services and care to its patients and caregivers. L to R: Katherine Barski, Atty. Doane Law Firm; Judie Rappaport President Preferred Lifestyle Services and 1st VP ACC Board of Directors; Ellen Peitz, Executive Director of Community Relations, Family Private Care.